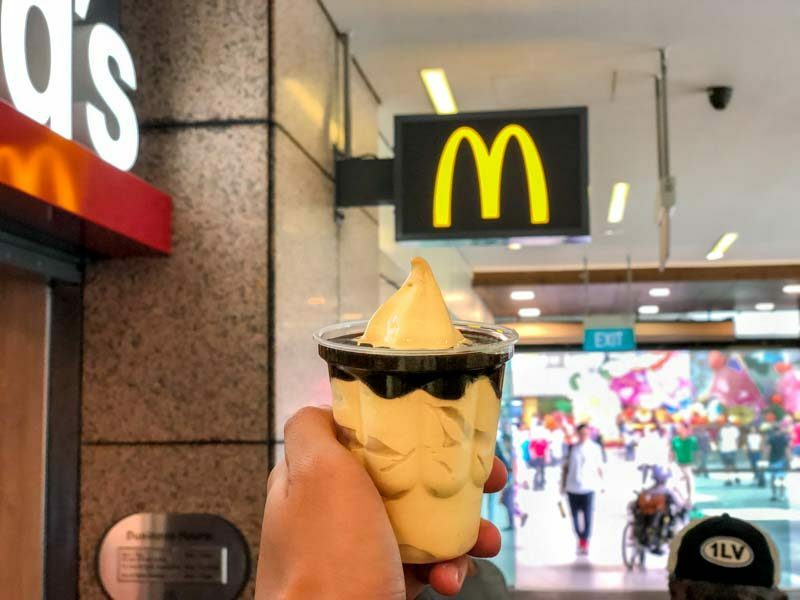 While we are letting our hairs down during this Chinese New Year, the industrious staff at McDonald’s have been working tirelessly. This time, we are treated to the new Popcorn Caramel Dessert series exclusively at McDonald’s dessert kiosk only. 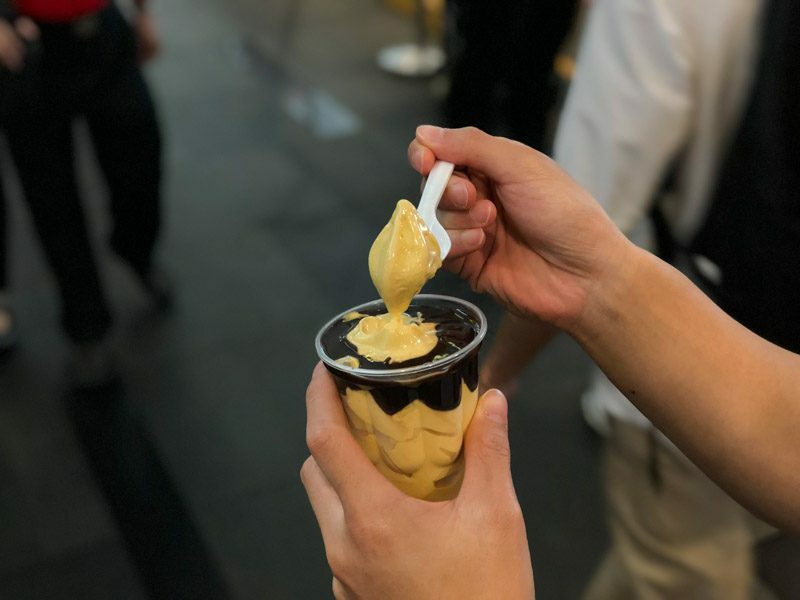 Similar to many McDonald’s dessert series, one could choose from the following variations: Popcorn Caramel Hot Fudge Sundae (S$2), Popcorn Caramel McFlurry® (S$3), Popcorn Caramel Chococone Soft Serve (S$1.20), Popcorn Caramel Cone (S$1 – S$1.20 depending on location), Popcorn Caramel Twist Cone (S$1). I opted for the Popcorn Caramel Hot Fudge Sundae (S$2) as it looked the most delectable on the menu. The only difference between this and the regular Hot Fudge Sundae was the ice cream colour. I was greeted with an initial familiar buttery taste of the popcorn and a mild saltiness on the first bite. I’m not going to lie but I felt confused as to what I was tasting for the first few seconds. However, the aroma of caramel started to emerge thereafter. On hindsight, I regretted getting this version of the new dessert as the sweetness of the chocolate sauce overpowered the taste of the caramel. 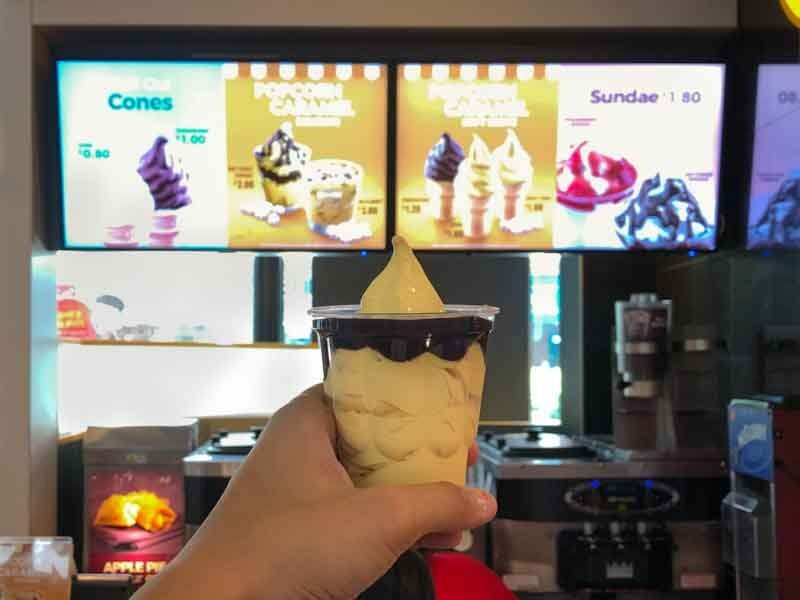 I would recommend ordering the plain Popcorn Caramel Cone (S$1) instead to enjoy the authentic flavour of the popcorn caramel. Lacking the wow factor, I was rather neutral about this new dessert. However, caramel lovers might just find an affinity with it. Do let us know if it was a hit or miss for you.